One of the things I was most afraid of this past Summer before coming to Italy was, how the heck I was going to find a place to stay in a city I barely knew (I had had visited Firenze almost 7 years prior with a High School trip in which we barely spent 5 hours around), using a language that was absolutely new for me, without knowing anyone except for the other guys who were coming with me from Valencia to the Università de Firenze to study Architecture (and we didn't know much of each other, actually). There were a couple of weeks in which I suffered from a lot of anxiety, as I have to have everything under control and for me, not having any place to live 2-3 months prior to leave meant a great, great problem for my nerves (imagine THAT. Now I've even met people who found their apartments once getting here). Still, my lucky stars had a surprise for me: one of my now flatmates got my cell number through a couple of friends we have in common from his hometown. Some friends of his had also stayed on an Erasmus in Firenze on a great apartment, he's also an architect and he also meant to take the same subjects I was taking here. 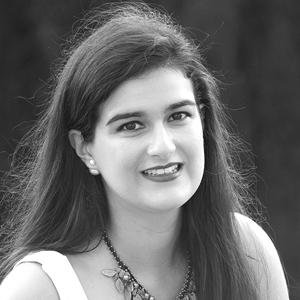 Our third flatmate came just in the right moment: we had been classmates in our home university in Valencia all these years and as I, she was also coming to finish her degree. For me everything was a stroke of great fortune when I don't actually rely much on it. However, for all of you who are thinking about studying abroad before long and you are a bit like me and my nerves before coming here (I feel you, believe me when I say that I understand everything you're going through), today I'm partnering with the start-up Spotahome to help you all a little bit with super general concepts on how to find a nice, cozy and clean place with potential to become your new home away from home. So, here we go! This was the first mistake I ever made when looking for a place to stay on my year abroad: I rushed too much, and, even though I'm very happy with the place I'm living in Firenze and also with my flatmates (we live just a couple of steps away from the Duomo, and I've barely taken any public transport as I go walking almost everywhere) I now know that maybe I could have found a cheaper apartment with the same commodities if I'd waited until arriving here. However, if you can't wait and as me, you love having every situation under control, you can take a look on networks as Spotahome, which offers housing on a mid-long term for anxious students as me, who decided to pack everything and from one day to another move to another country temporarily. It wasn't possible in my case, as I don't think my university here in Firenze has any kind of help programme when it comes to housing for foreign students. However, there are some universities and colleges which have their own dormitories and infraestructures to accommodate people, and lots of times this possibility is the easiest and cheapest option in comparison to finding by your own a flat downtown. In my case, Firenze doesn't have more than a couple of big uni dormitories, and they all have a very similar price to the place I'm staying at. As it is, the difference meant sharing the place with 3 to 4 people or living on a quite spacious room for my own, in addition to the independence that an apartment offered. Can you guess which option I took, right? Not only it is a great way to meet people and learn the language, but also to get some help and some precious tips or even to spot scams. It wasn't necessary in my case as I came with the flat fixed beforehand but, as an example back in my home university in Valencia, there's a programme which brings together local architecture students and the architecture students who are coming next course for them not only to discuss possible subjects and courses, but also, to get some help when looking for a place to stay away from home. I have friends who have helped italians, chineses, japaneses and people from every place in the world to find their accommodation while studying abroad; as well as making friends for life in different parts of the globe. 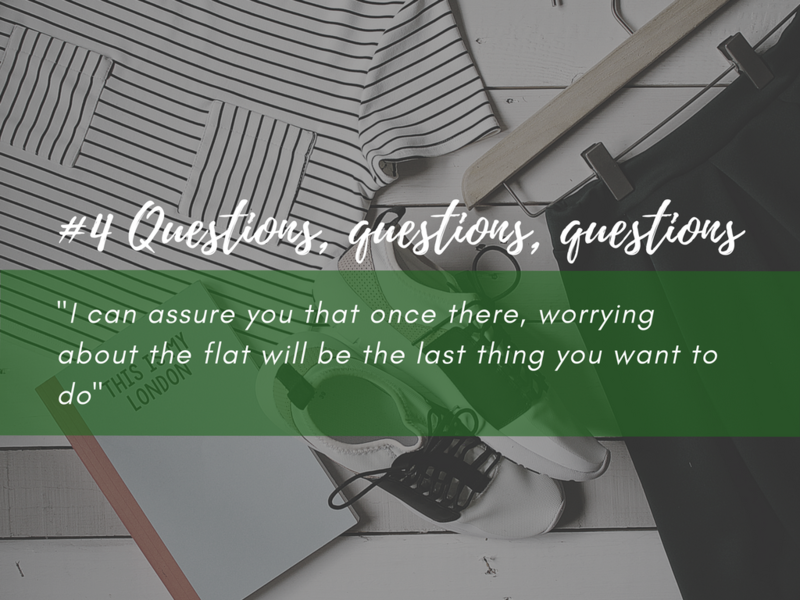 Once you find what might be your -hopefully- perfect home away from way, don't be ashamed of asking a lot of questions. Does your contract say how many months are you staying? If not, is there any term specifying that you won't be dumped out in the street without notification? All facilities and household appliances work properly? Are maintenance costs included in your rent? Make all the questions you think that may be an answer. You don't want to find unexpected surprises once you've landed, because I can assure you that once there, worrying about the flat will be the last thing you want to do (because basically, on your firsts days there you'll worry about a lot of extra things you never thought of). Leaving the comfortable nest where you live in with your family is scaring, I know. I'm the first one who has felt that uncomfortable knot on her stomach and that constant feeling of "what the heck am I doing" and "help, where's my mum". I guess that's the fun thing about growing up: you must learn how to manage not only your businesses, but also your emotions concerning certain unexpected or uncomfortable situations. Don't worry, because, as a friend of mine usually says: "when you're studying abroad, no matter how many weird things you experience; you always get strength from any place and at the very end, everything will eventually work out fine". Hope you all have a lot of fun in your new adventure! 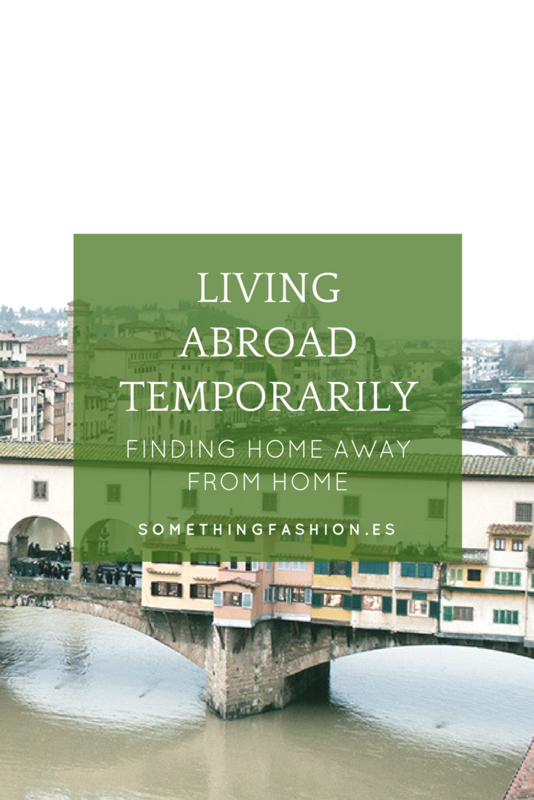 Have you ever lived abroad or away from home? What would be your best tips about living on your own? Shoes that make you look taller? That's done!